Located on the edge of Gastown (207 West Hastings St), the Dominion Building was Vancouver’s first steel-framed high-rise. Upon its completion in 1910, this 13-storey building was the tallest commercial building in the British Empire. It’s just down from the more well-known Harbour Centre. 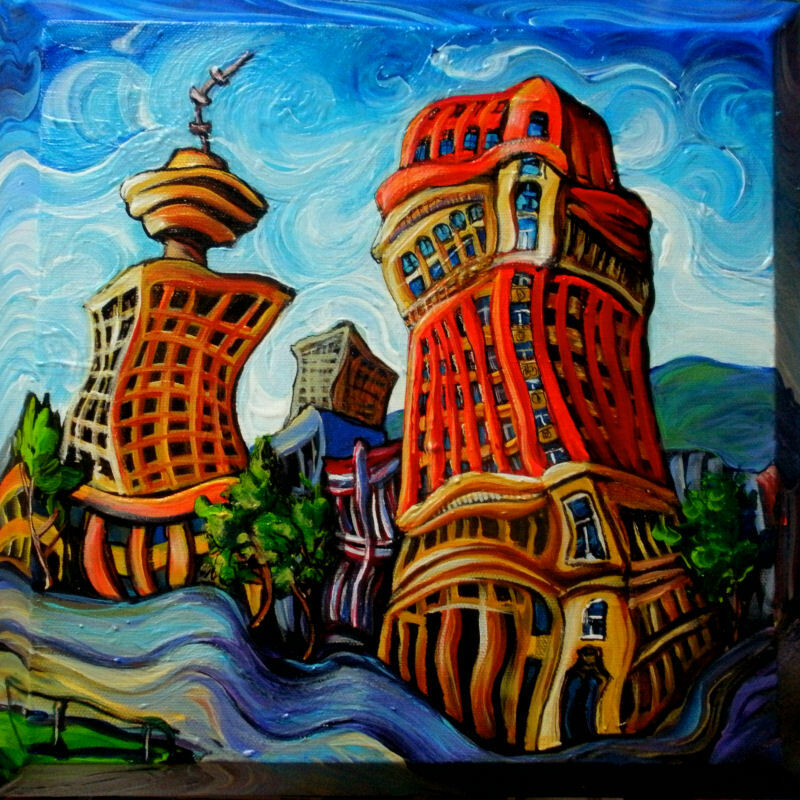 I painted these two buildings as if they are dancing and swirling in an eternal shuffling minuet.